You can buy a license over the counter and pick out any 7 day period in order to be here when conditions are good. Give us a call and we will customize your hunt. Jan 1st to March 31st - and Nov 1st to Dec 31st. You buy this tag over the counter and pick out any 2 day period that you want on a first-come basis. 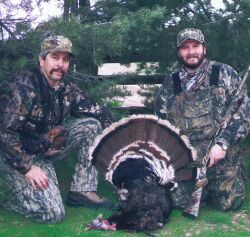 These hunts are 2 full days; fully guided with meals and lodging. Spring Turkey season is typically from the first part of April through the end of May. 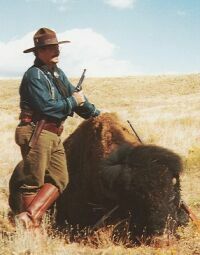 Call and we will customize a hunt for you. Season is typically the whole month of Sept. - and by permit only. You may also buy a bear license in conjunction with a deer or elk license. No tag is needed for this hunt. Call and we will customize a hunt for you. There is no restricted season, but you must have small game license. 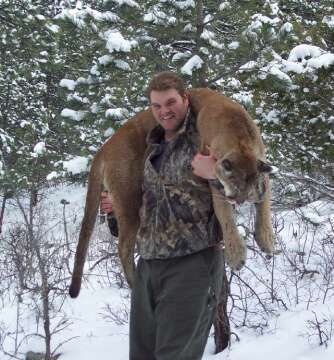 If you are going to hunt Bobcats, you must have a fur-bearer license.